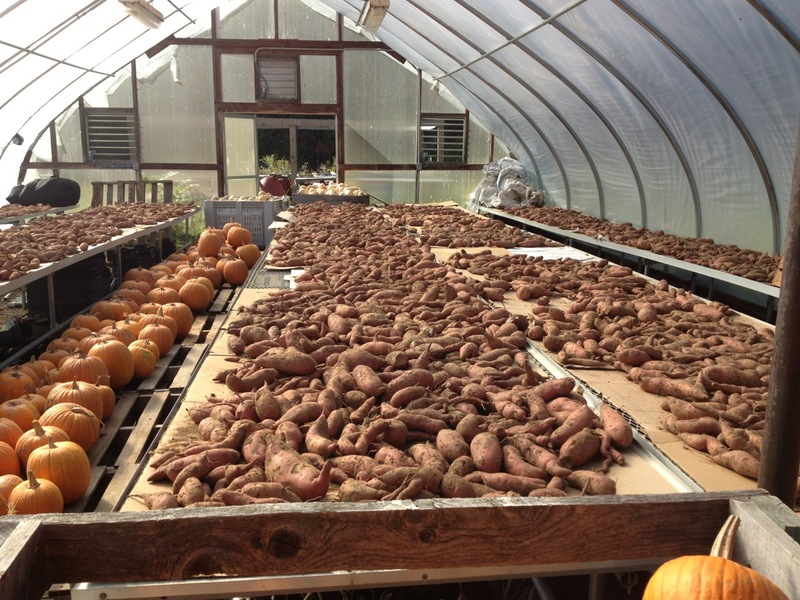 In the early part of sweet potato season, all I really want to do is roast them. I roast them whole, of course, and eat them with their crackly skins. Sometimes I peel them, cut them in cubes, toss them in some olive oil or coconut oil, garnish with sea salt or with some of David Lebovitz’s herb rub (which is a fabulous thing to make in the fall when there’s easy access to sage and rosemary), and put them in a hot oven, either alone or with some regular potatoes and whatever other complementary vegetable I have around. The sweet potatoes are especially good this way—pillowy and chewy and sweet. 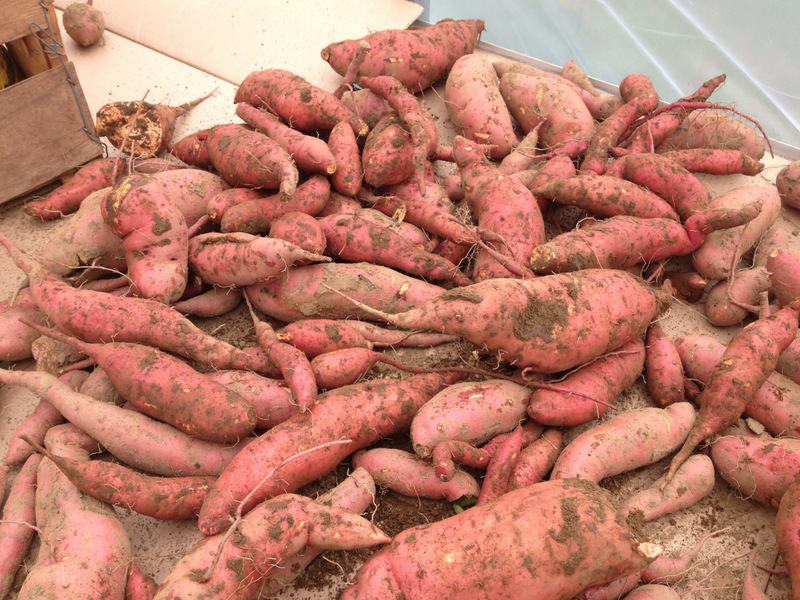 You can turn roasted sweet potatoes into puree; you can use them as a base for soup. And if it’s fall and maybe just starting to get a tiny bit chilly outside, you can use some of your roasted sweet potatoes to make Kim Boyce’s Sweet Potato Muffins. You will not regret the decision. Kim Boyce is a pastry chef and proprietor of a bakery in Portland, OR, called Bakeshop. 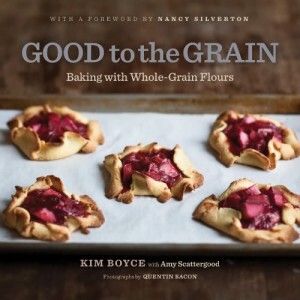 She is also the author of the 2010 James Beard award winning cookbook Good to the Grain. 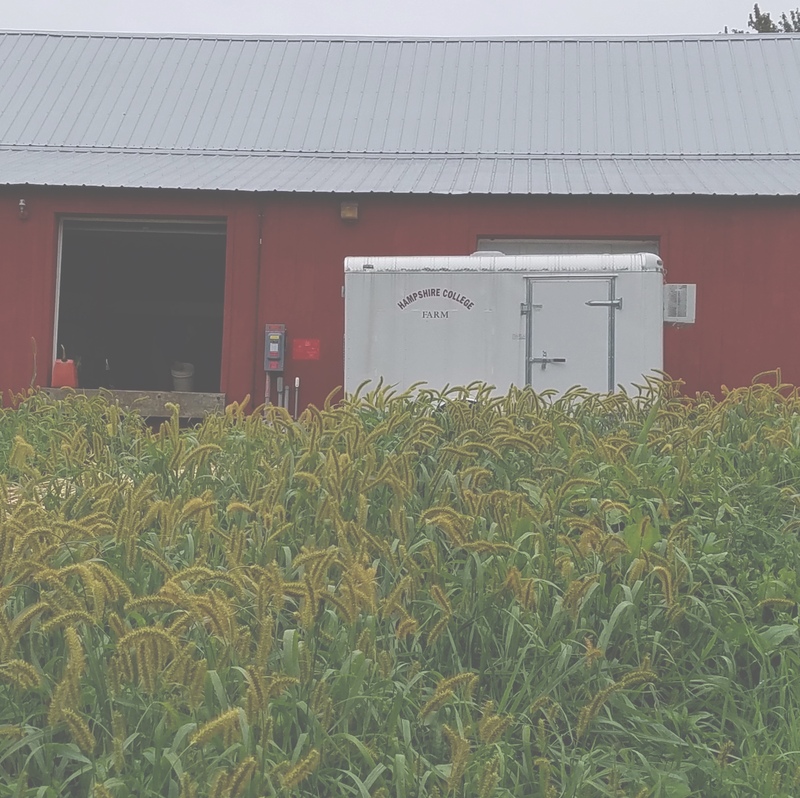 The book explores a number of different whole grain flours, from the ordinary (whole wheat, oat flour, buckwheat) to the more unusual (amaranth, spelt, the Ethiopian flour teff, to name a few). Her recipes are designed to take advantage of the unique qualities of each flour. While I admit that I haven’t yet made anything with teff, I will say that everything else I’ve made from the book has been great. (Boyce’s whole wheat chocolate chip cookies are a revelation–I may never make chocolate chip cookies with white flour again.) The other thing to know is that this isn’t a health food cookbook. Boyce is a pastry chef, after all–she’s not afraid of butter or sugar. 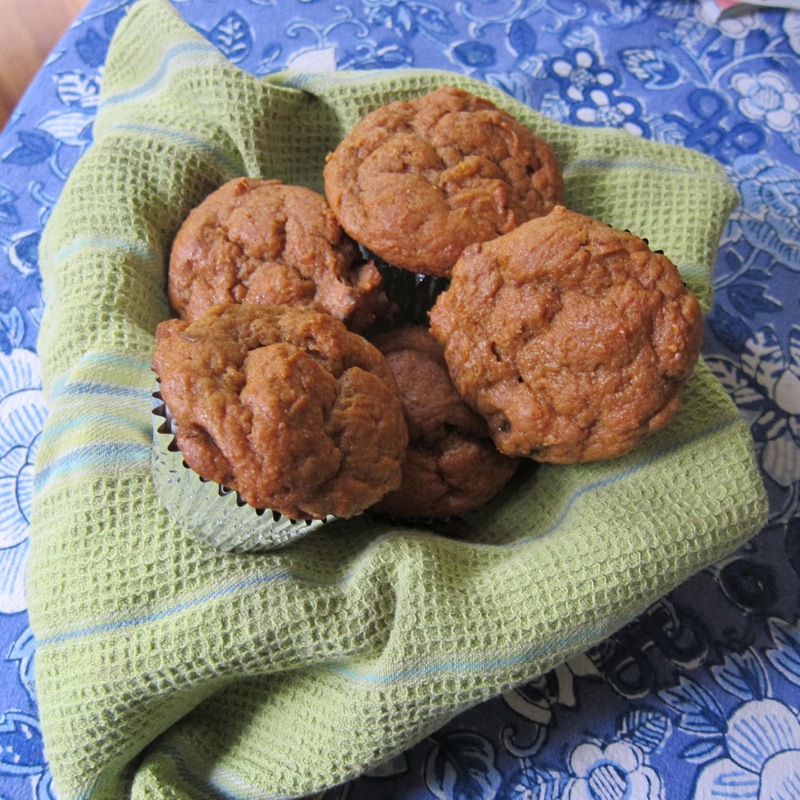 That said, her whole wheat sweet potato-date muffins are on the healthy side–there’s only a half stick of butter and a half cup of sugar in a recipe that makes twelve large muffins. Still, they don’t taste abstemious. They are tender and full of flavor, filling but not heavy. They are perfect for breakfast or afternoon tea. Boyce has you use chopped dates in them, something I never would have thought to do. My inclination would have been to use nuts or raisins, and those versions, I’m sure, would be delicious. But the dates add another level of flavor to the muffins, which I appreciated. I also appreciated how lovely these muffins smell while baking. I made these at night, and when I returned home the next day, my house still smelled fabulous–slightly sweet and slightly spicy, like the early days of autumn themselves. The recipe requires you to use roasted sweet potatoes, which brings me back to my first point. Your roasting can do double duty–you can roast some sweet potatoes to eat because they’re delicious that way, and you can save a sweet potato or two to use for the muffins. How can you go wrong? Preheat the oven to 400F. 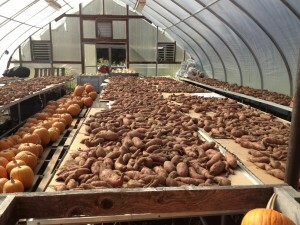 Roast the sweet potatoes for 1 to 1 1/2 hours, depending on their size, until they’re tender when pierced with a fork. The bottoms should be dark, even burnt-looking, and the juices beginning to caramelize. Set aside to cool, then peel and leave whole. Lower the oven heat to 350F. Rub muffin tins with butter, or line them with muffin papers and spray with canola oil or other baking spray. In a small bowl, whisk together the buttermilk and yogurt. In the bowl of a standing mixer, add the butter and 2 sugars. (Obviously, if you don’t have a standing mixer, you can improvise, either with a hand-held mixer or with a spoon and some vigorous stirring.) Mix at high speed until they are light and creamy, about 3 minutes. Using a spatula, scrape down the sides of the bowl. Add the egg and half of the sweet potatoes and mix on medium speed for about 1 minute, until thoroughly combined. Again scrape down the sides of the bowl. On low speed, so that the flour doesn’t go flying everywhere, add the dry ingredients and mix until partly combined. Add the buttermilk mixture and mix until combined. Add the chopped dates, separating them over the surface of the batter so they don’t clump together. Add the remaining sweet potatoes and mix until barely combined. There should be pockets of sweet potato in the batter. Use a spatula to scrape down the sides and bottom of the bowl. Scoop the batter into 10-12 muffin cups, using a spoon or ice cream scoop. To encourage even baking and allow each muffin enough room to have an individual dome top, fill alternate cups in a 24-cup tin, or use two 12-cup tins. (I didn’t bother with this–I used a single 12-cup muffin tin, and my muffins turned out fine.) The batter should be slightly mounded above the edge. Bake for 30-40 minutes at 350F. (Mine took 45 minutes.) Rotate the pans halfway through. Take the tins out of the oven, twist each muffin and place it on its side in the cup to cool. This ensures that the muffin stays crusty instead of getting soggy. Boyce notes that these muffins are best eaten warm from the oven or later that same day, but I think they have a bit more longevity than that, as long as you put them in an airtight container. They can also be frozen and reheated. Mollie Katzen’s Golden Pear Soup: This one is an oldy, from Katzen’s 1988 cookbook, Still Life with Menu. It combines gently sauteed sweet potatoes with ripe pears and white wine and makes a lovely, comforting soup. Carrot, Sweet Potato and Red Lentil Soup with Moroccan Flavors: I can’t vouch for this one personally, but it was a contest finalist and community pick over at Food 52, which means it’s been crowd approved and tested. Swiss Chard and Sweet Potato Gratin: If you want to get fancy with your sweet potatoes, or have a dish for a family or company dinner, there’s this delicious gratin from Smitten Kitchen. I made it for Thanksgiving a few years ago and was not disappointed. Miso Sweet Potato and Broccoli Bowl: If you’re feeling less decadent, there’s a new one from Deb at Smitten Kitchen, which combines sweet potatoes, broccoli and miso. I tweaked the recipe a bit based on ingredients I had in the house and a few other items I wanted to add; they came out great. Thanks for inspiration and sharing the recipe! Those look gorgeous, Sarah! And I love your scenic background for them. So glad you made and enjoyed them!